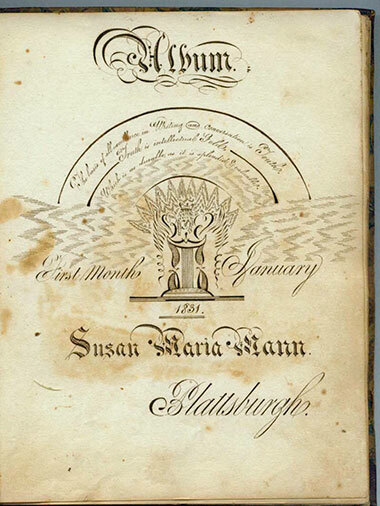 The Susan Mann McCulloch Autograph Book and Commonplace Book were part of the John Ross McCulloch estate. Corrine Hurni, who is a relative of Vern Hiscox coordinated the estate auction of Vern which included many items from John Ross. Vern was a close friend of John Ross and lived in the other half of John Ross's duplex in downtown Fort Wayne and later inherited it from John Ross. Corrine preserved these items before donating them to Greg Renno in 2013. The materials are presented here through the generosity of Greg Renno.